Truck Accident Personal Injury & Wrongful Death Lawyer in Diamond Bar, Calif.: Over 40 Years of Truck Accident Injury Experience You Can Trust! 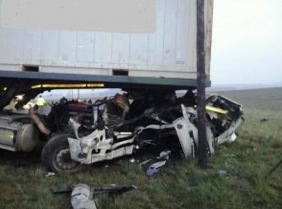 Truck accidents can be devastating, requiring assistance by an expert personal injury attorney. If you have met with a truck accident or lost a loved one in a tragic truck crash or car accident with a wrongful death claim, turn to our experienced and compassionate personal injury lawyers who handle cases in Diamond Bar, Los Angeles, California. Our truck accident lawyers and law firm provide expert personal injury legal services for those injured not just in truck accidents but in automobile, motorcycle, uninsured motorist (UM), pedestrian and other types of accidents as well. We also extend our legal services to family members who have lost a loved one in a tragic truck accident and need support and legal counseling regarding wrongful death claims in Diamond Bar, Los Angeles County, California. There are so many time and procedure rules and deadlines so don’t risk losing your rights or having the insurer deny your claim. Contact us now – the consultation is FREE and there is NO fee until you WIN! Thus, for truck accident or other personal injury claims in Diamond Bar, Los Angeles or anywhere else in California, you should contact us for a completely FREE CONSULTATION. In fact, find additional helpful information on truck accident cases and wrongful death claims on our website. For details about our law firm and experience of our truck accident personal injury & wrongful death lawyers, visit our home page and our lawyer profiles. Above 5,000 truck accidents, resulted in serious injuries. Truck accidents that lead to fatalities are owing to extensive interstate highways in Diamond Bar and other places in California. Most of these accidents occur in and around freeways in the Golden State. Located at the junction of the Pomona and Orange freeways, Diamond Bar is an upper-middle-class city in eastern Los Angeles County, California. According to 2010 U.S. Census, the population in Diamond Bar was 55,544, significantly down from 56,287 at the 2000 census. It is surrounded by several suburban cities, such as Brea, Walnut, Chino Hills and Rowland Heights. For recreation, Diamond Bar features a public Los Angeles County golf course. Our experienced lawyers offer you the strong representation and advocacy that you need when you or a loved one has been through a traumatizing truck accident or other personal injury claim and now have to deal with trained insurance adjusters, their professional investigators and their defense attorneys. Our job is to represent you, level the playing field to give you – and not the insurance company – the advantage, work in your best interests and aggressively pursue your rights and seek maximum compensation for your injuries and damages. Contact our Diamond Bar truck accident injury lawyers and legal team now for a completely FREE CONSULTATION and CASE EVALUATION. Our consultation is absolutely FREE and we work on a contingency fee basis, so there’s NO fee until you WIN!